Upholstery cleaning is becoming very popular in the United States, keeping your furniture in top shape and also maintaining a clean look in the room itself. Here at Tri-State Carpets, we know how hard your furniture works, but we also have the experience and skill to have it restored to its former glory in no time at all. We use delicate cleaning solutions to remove dirt, special hot-water techniques to clean the fabric itself and then apply Scotchguard protection, to give it an extra level of protection. Before we’re finished, we will deodorize your piece, to leave it smelling fresh and also to ward off bacteria. 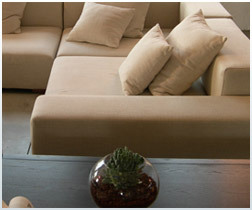 And, remember, because buying new furniture is so costly, upholstery cleaning also makes good financial sense. Have your sofa or armchair looking good as new again – now! Fill this online form or simply call us now at (800) 643-8486.